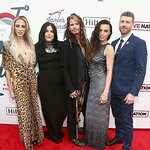 Janie’s Fund is a philanthropic initiative created by Steven Tyler in partnership with Youth Villages to bring hope and healing to girls who have suffered the trauma of abuse and neglect. 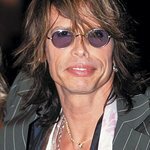 Steven first gave voice to this cause with his hit “Janie’s Got a Gun,” and his establishment of the fund ensures that these vulnerable girls will have an enduring voice for years to come. Janie’s Fund has two important goals: to bring much-needed awareness to the issue of abuse and neglect of children and to generate financial support to ensure that girls receive the most effective support available to help them overcome the trauma and pain of abuse. One hundred percent of all donations to Janie’s Fund are used to support proven programs at Youth Villages that have demonstrated effectiveness in addressing the trauma of sexual abuse in children and to expand these services to help even more girls. These services incorporate the latest research on developing brains and neuropsychology. Google trends for "Janie's Fund"
We don't have any videos related to Janie's Fund.